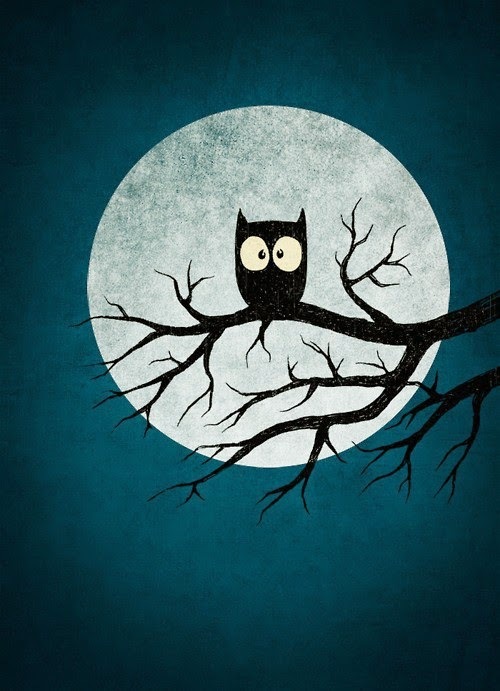 Halloween Owls in the light of the moon! 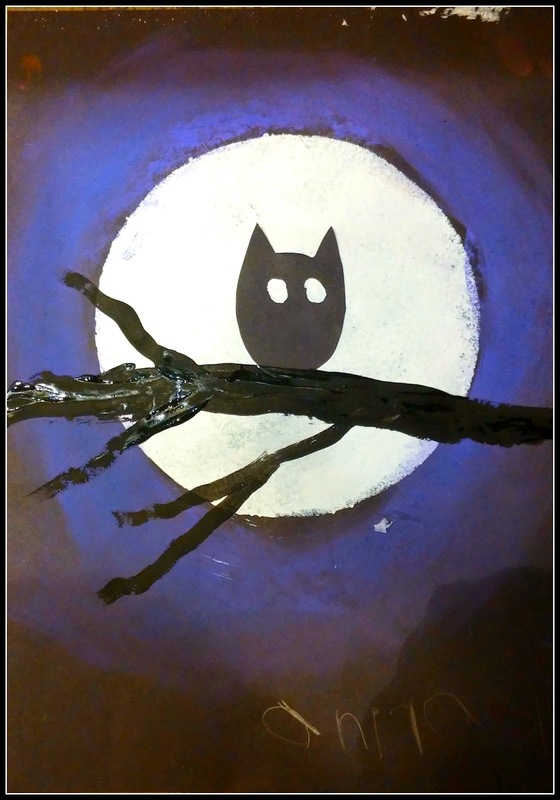 You will need : Black construction paper 12x 18, moon stencils, tape, white acrylic paint,brushes, sponges cut into squares, black paint, black cut out owls and chalk pastels. 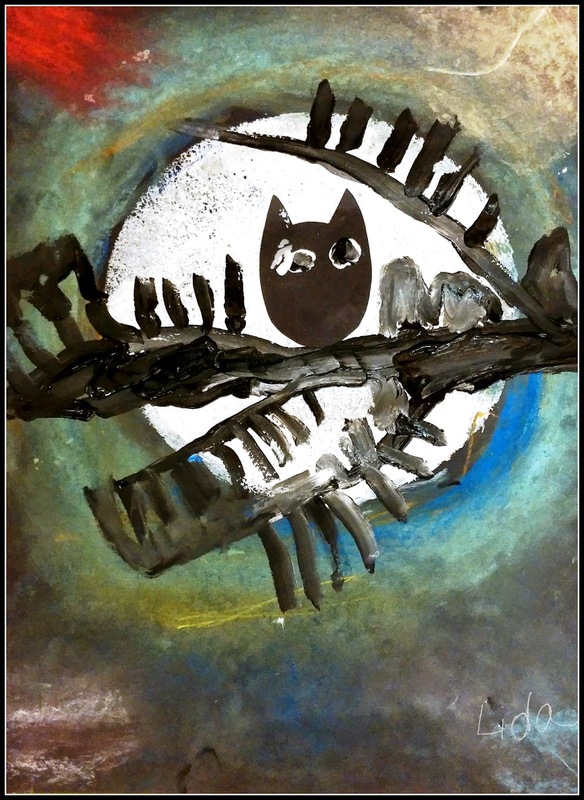 If the kids are 1st grade or older, have them paint their own Owl. I cut large circles by tracing a plate onto a manila folder. Folders make great stencils. Use a low tack tape to hold stencil in place. 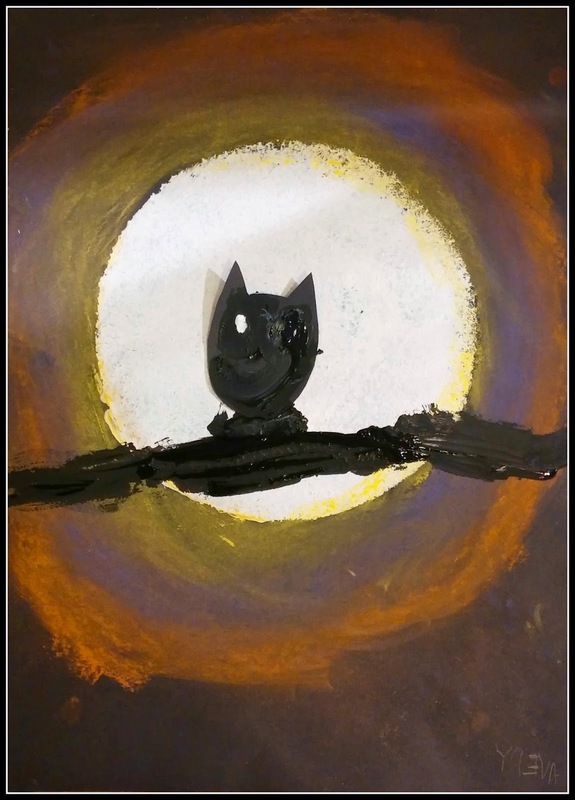 ( regular scotch tape can tear the paper) Sponge paint moon with white paint. Next .. remove stencil, lay chalk pastel flat on paper. Rub around moon. I use my fingers to blend chalk. Kleenex or cotton balls work great too. 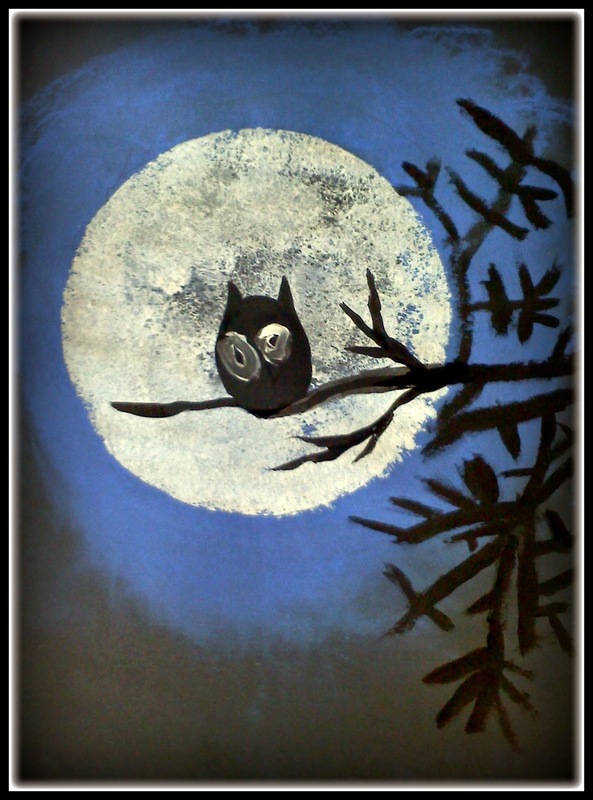 Now paint the owl in the middle of the moon, for lowers grades, I cut out Owls. 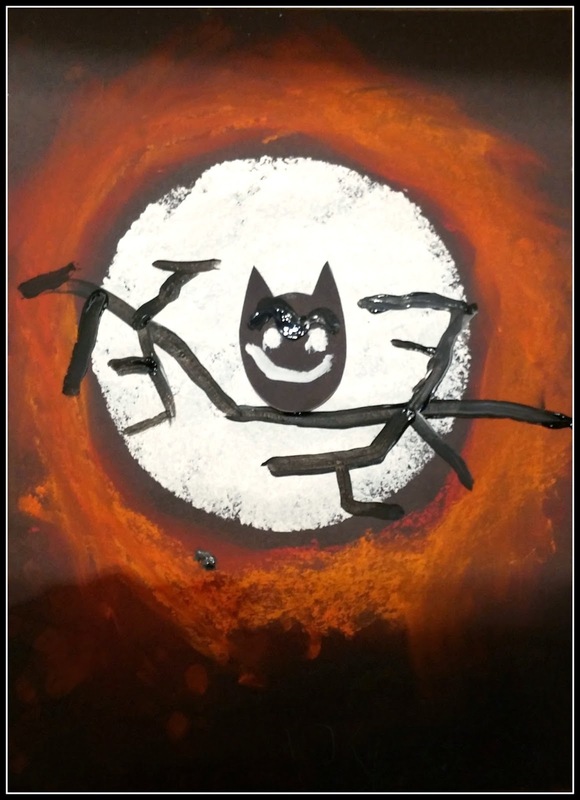 Have the kids paint branches under the Owl. Ta dah!! 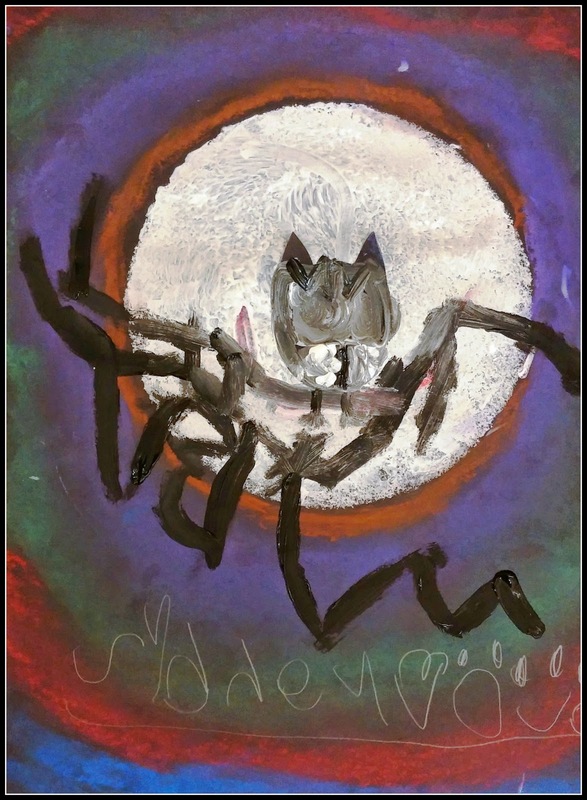 While the kids work on their projects, you can read "Wise old Owl's Halloween Adventure"
These Owls are from my pre-school and Kindergarten class. I think they did a fantastic job! Tree branches are hard to paint for little folk.